Cissy Houston_It’s a NO go for Rihanna! 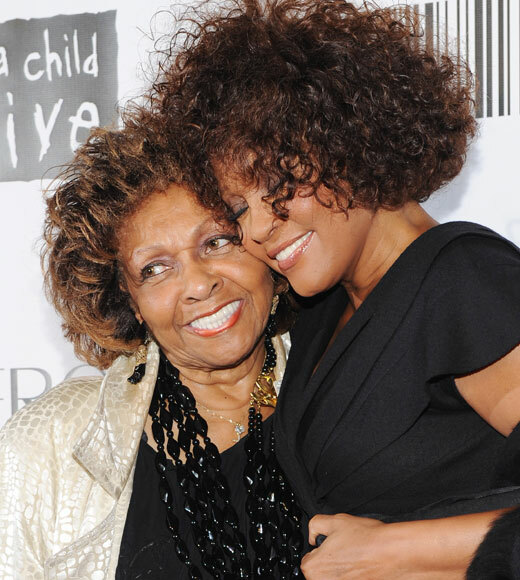 Cissy Houston, Mother of the late Singing Megastar, Whitney Houston, has spoken out against Rihanna portraying her daughter in any future film based on the tragic singers life. Following recent revelations that current chart topper, Rihanna, has shown a keen interest in playing Houston in any upcoming film to be made about her life, it has been reported that one person is certain Rihanna is not the person to take the role on, and that is Whitney’s mother, Cissy. “Over my dead body!” 78-year-old Cissy has said of the idea, according to a National Enquirer source. 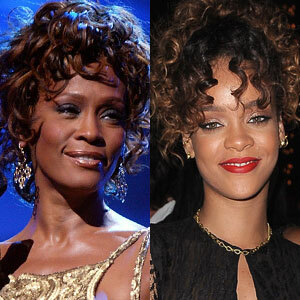 “Cissy does not think Whitney should be represented by some­one like Rihanna,” the source revealed. “Cissy believes Rihanna celebrates everything she hated about Whitney’s life. The drugs, the boozing, the abusive relationship.” Despite Whitney’s highly publicised troubles, it is reported that Cissy wants any future film about her daughter to tell the story of her triumphs as well. “In spite of what anyone thought about Whitney, she sees her as a God-fearing Christian who loved the Lord,” the source said. On February 11 2012, Whitney Houston was found dead at the Beverly Hilton Hotel, submerged in the bathtub. The Los Angeles County coroner’s office reported the cause of Houston’s death was drowning and the effects of atherosclerotic heart disease and cocaine use. The news sent shock waves across the world with fans taking to the streets and the Internet, with a very public out pour of sadness, grief and disbelief. This does not come as much of a surprise, following recent media stories surrounding Rihanna. The star recently told The Press Association she would “love” to play Houston in an upcoming movie, admitting, “That would be something that I would have to give my entire life to do because I would want to really pull it off.” Rumours of the film has attracted plenty of attention and interest. Houston, after all, is one of the biggest selling singing sensations we have known and was loved by millions worldwide. Whoever does get picked to play the leading role will have a massive responsibility on their hands. Houston’s life consisted of many up’s and down’s. With massive success in her professional life, accompanied by many low’s in her private one. Such an emotional and turbulent story can only be expressed and fed to the viewer as real, by someone capable of placing themself in Houston’s shoes. Feeling her pain. Understanding her struggles. Being able to portray a real person, and leaving the audience convinced is not something every actress can pull off. It takes a different mind frame and plenty of heart. Rihanna is yet to respond to these latest reports. We will keep you updated as this story unfolds.